Back in 2010, I was in a small restaurant in the tiny town of Port Douglas, Australia, and I noticed this plate hanging on the wall. 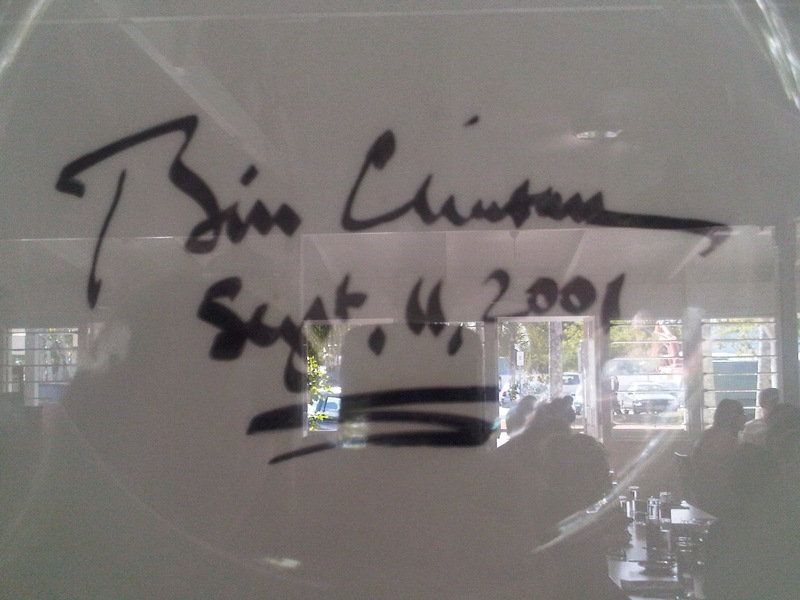 The bartender told me he had served Bill Clinton there on September 11, 2001, and shortly after signing this plate as a keepsake for the restaurant, Clinton's phone rang, and he and his team abruptly departed. I looked at that signature for some time and was reminded of the profound global impact of that day. And as somber an anniversary as this is, I'm looking forward to meeting with my students today. They were one year old when the attacks happened. And I want to be sure they grasp why this simple white plate on the other side of the planet would stop someone in their tracks.